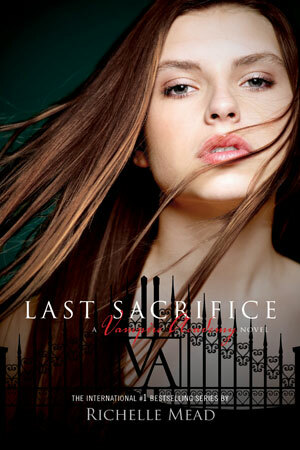 The end of the Vampire Academy Series. It was a long journey to get here but it was worth it in the end. Everything was wrapped up nightly, all was said and done, and yet there’s still more… The Bloodlines Series. My initial reaction when I first picked up the book was “Damn, this book is long…” and yes, there are longer books like the Harry Potter books, but something I’ve found with Mead’s books was longer doesn’t always mean better. I found that in length, where all your questions get answered also comes at the price of a lot of filler. Rose Hathaway has done it all. Run away from school, been the youngest to kill a Strigoi, falling in love with her mentor, broken into high security prisons, and now she’s charged with murdering the Queen of the Moroi. That’s a lot of red for someone who’s only eighteen. Determined to get out of jail and find out who Tatiana’s murderer really was, Rose will need the help of all her friends and allies, as well as a few surprising enemies. But, in order to stall for time and keep the guardians off Rose’s trail Adrian and the others at court have to convince the Moroi to acknowledge Vasilisa as a candidate to become Queen. First and foremost my problem with this book was that it was LONG. Now, I know that’s a serious criticism and in previous reviews I complain that most books are too short, well yes, that’s true. But there is also such thing as being too long. And yes, I can safely say that there are books out there that are not too long, and not too short, but just right. There’s a lot of back and forth going on with looking into Lissa’s head, which, I guess there was no other way around it, and it is an interesting way to go about the story instead of changing POV’s. Maybe I’m just being too picky. That’s probably what it is. The trials that Moroi Royalty go through in order to be crowned King or Queen were really very interesting. In my head it definitely played out like the Harry Potter Tri-Wizard trials, although perhaps not as exhilarating. I do admire all the technical work that went into this last book. A murder occurred and now everyone is trying to solve the mystery as to who did it. It even plays out like a mystery and at the end, presents the reader with a shocking turn that I didn’t see until it was obvious. (I know that sounds confusing but bear with me because if I say anything more it’ll give everything away). Rose and Dimitri were amazing and were the highlight of the story. Adrian is my love! I LOVE him. And just all is right in the world. But there are still a lot of unanswered questions that might rise in your mind when you get to the end. What happened to the Keepers? What’s going to happen to the Dragomir Family now? What about Sydney and the Alchemists? And serious can Abe and Janine please get back together? I mean, seriously. Aside from Rose and Dimitri, I love Janine and Abe. Abe’s just like…AMAZING like if he was my dad…just no problem.